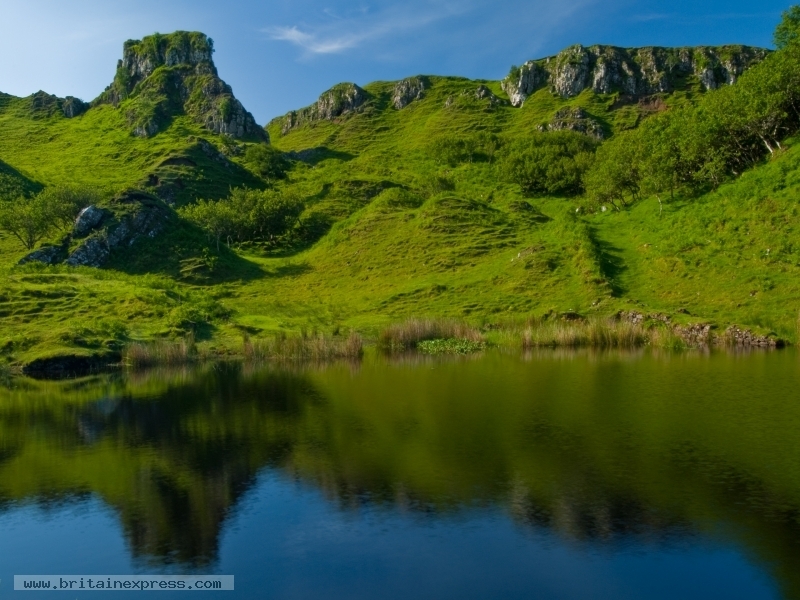 One of my favourite places in the UK is the magical Isle of Skye, and one of my favourite places on the Isle of Skye is the Fairy Glen, just outside Uig. 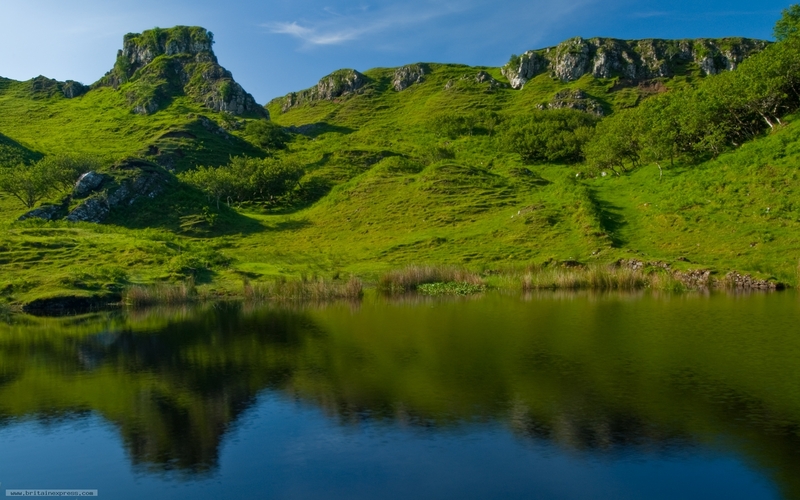 The Fairy Glen is quite astonishing; a small area of lochans, hills, and crags that has been described as the Highlands in miniature. 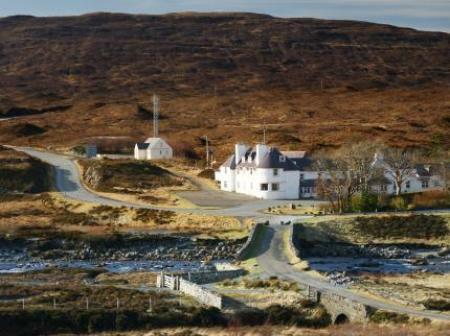 Here, the hill known as Castle Ewen for its resemblance to a castle, is reflected in the waters of a small loch beside the road. 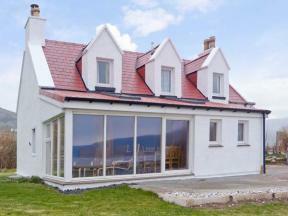 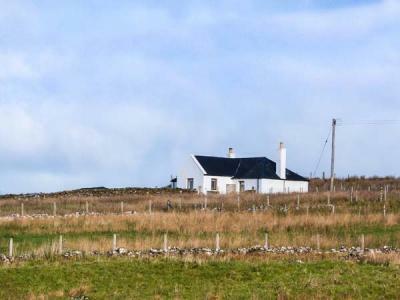 This pretty whitewashed cottage is near to the village of Uig in The Hebrides and can sleep two people in one bedroom.